The firm added in a statement it believes the "SEC case is unwarranted and that, when all the facts are considered by the court, or if necessary by a jury, the SEC's claims will be rejected." As a result of the charges, Guy Elliott has resigned from his new job as non-executive director of oil giant Royal Dutch Shell. In a statement, Shell said: "We hope he satisfactorily resolves those proceedings and, that in that event, he would like to be considered for rejoining the Board." The miner separately reached a settlement with UK regulators for disclosure failures tied to the Mozambique investment. 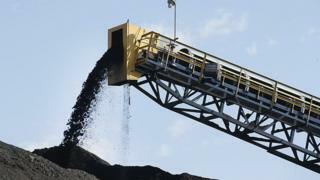 It agreed to pay the Financial Conduct Authority £27 million to settle claims that it breached accounting rules in connection with the African coal assets. The FCA said the fine is the largest ever imposed on a firm for a listing-rules breach.